Studies about the importance of team sports have shown that sports benefit physical and psychological well-being. For this reason, ARK International and X-treme Rugby Wear partnered together in 2009 to create Nak Suu Tigers Rugby Academy. Our ultimate goal is to have a lasting impact in the lives of young people through rugby training and life skill development—building trust, hope, self-esteem, and courage. It is our hope to provide these children with the opportunity to develop training, skills, and character needed to successfully live a life that will contribute to society. 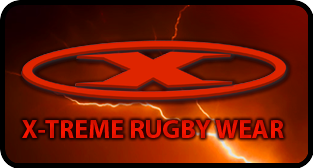 In 2016, ARK International went through some structural changes and as a result, The Nak Suu Rugby Academy is now under the auspice and governing authority of X-Treme Rugby Wear. Nak Suu Rugby Academy is in the process of becoming an independent foundation in order to continue to impact the lives of young people through sports and mentorship. To find out more, please visit their website at: Nak Suu Rugby Academy.